Hey all! It’s #TravelTuesday right here at Scott Kelby’s Photoshop Insider and today I, Dave Williams, want to share with you a little bit about how photo intentions affect travel. Today, I want to provoke your thoughts. 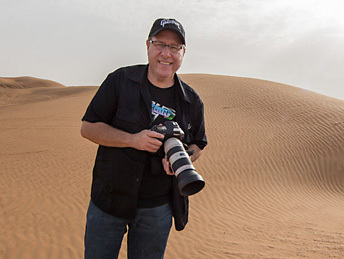 On that note, Scott has a new class out now on KelbyOne called The Photographer’s Guide to Traveling Light. Go check that out! Take a look around and note how much influence media has on our everyday lives. I’m talking about the entire range from personal Instagram accounts, right through to National Geographic and other such epic documentaries. You’ll even find influence coming from KelbyOne in respect of what I’m talking about today. The travel industry, in particular, is absolutely dominated by social media and influencers, so it’s absolutely no surprise that travel and photography are intrinsically linked. More and more often we are finding that our travel plans are weighed up against how “Instagrammable” (definitely a real word) the destination is. It’s actually my job to do that very thing. Here’s something very interesting, which has popped up recently; something that’s worth giving a little thought: Studies have recently shown that us humans are now very likely to recall our experiences and our photos from a third person perspective. What we’re doing, as I’m sure you will have noticed, is showing the world our images with the intention of gaining likes, comments, shares, and engagement. We’re no longer looking to have experiences, but rather we’re looking to share. It seems that our number one priority is not to reflect on the moments within ourselves, but to consider how the perception of our experience would be evaluated by our followers. This information is worth keeping in the front of our minds because travel (and indeed travel photography) is about experience. Our travel experience is tragically becoming hindered by sharing. We give undue consideration to our photo sharing over our internal forbearance and reflection on the circumstances we face to give us the experiences we see and feel in travel, and this is a necessary evil in some regards and some situations, particularly for myself as a professional travel photographer and writer. The fact that social media has a massive impact on our experiences is now a part of everyday life, and we are still getting used to it. It has hit us all in the face, and in some cases has become a genuine obsession. We can, if we aren’t careful, become obsessed with getting something “grammable,” something worthy of a Facebook post, and the subsequent likes and follows. It can take over us and take us beyond the reason we shoot and travel. The focus. The present moment. It takes discipline to deal with social media effectively and productively, but similarly, it takes discipline to not let social media steal your time. With respect to how this is becoming “the norm,” just remember this: if you’re always trying to be normal, you’ll never know how amazing you can be. In a world where everything is disclosed, perhaps it’s sometimes a good thing to remain a mystery. Make experiences, remember to actually experience them yourself, and don’t use your social media to try to impress people. Use it to make an impact. Give it value. Good point Dave. Flocking to the same places to take the same pictures with the same camera can be detrimental not only to the places but to ourselves. Daniel Gregory had a good post Monday addressing something similar.